With only four days in the city during our last visit we could only manage a taster of what is on offer when it comes to NYC healthy restaurants. 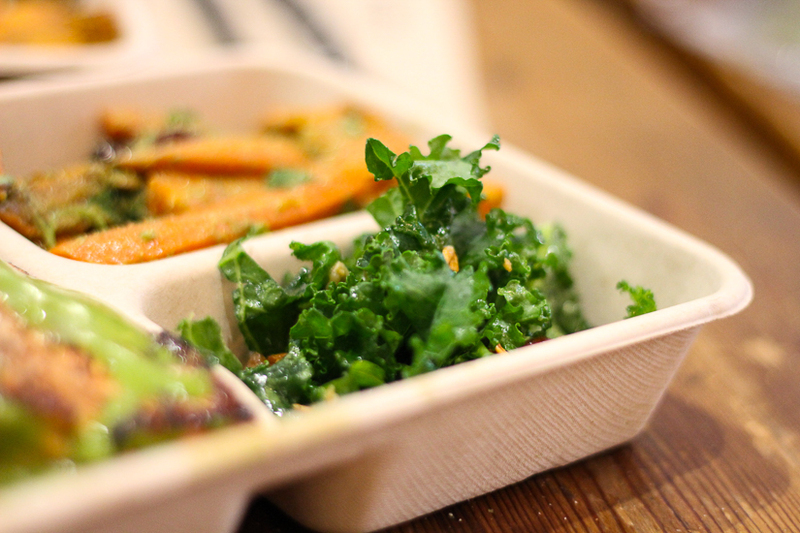 We took a tiny bite out of The Big Apple’s healthy food scene and these were our top picks. As we were staying in Williamsburg, this list extends beyond the bridge but we wouldn’t add anything that isn’t worth the short commute. Brunch in New York can be a bit of a competitive sport. Weekend brunching requires preparation and patience. Many popular spots don’t take reservations so if you want to avoid waiting on the footpath for hours, put on your activewear, grab your paper and make a bee-line for these hot spots. We promise it’s worth the early wake up call. Servers with a familiar twang welcome West Village locals and visitors to the Australian Bluestone Lane Collective Cafe. Recognisable by its cobalt awning, grab a seat on the street for a little people watching or cosy up inside the bright, designer interior. Australians are notorious for being coffee snobs so you can expect a good espresso, creamy cappuccino or old school Iced Chocolate. 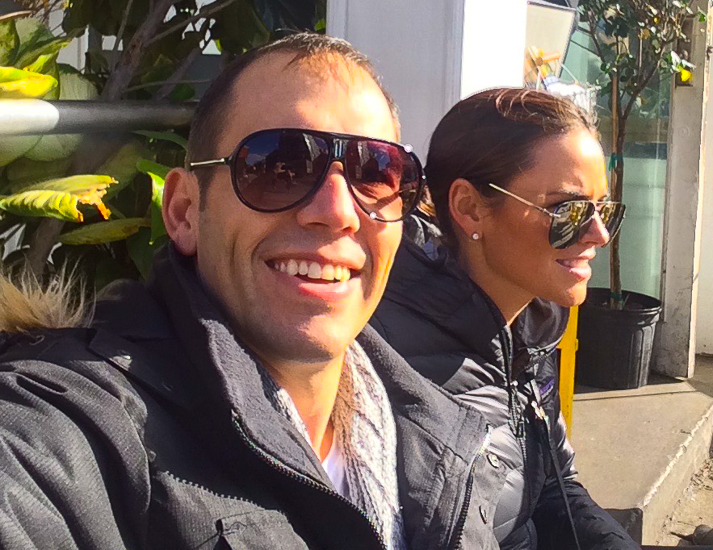 We claimed a table next to the sidewalk in the winter sun and enjoyed the Avocado Smash (Balthazar toast with tahini, heirloom cherry tomatoes, feta, sunflower sprouts & e.v.o.o with poached egg) and the Green Baked Eggs (chimichurri, cherry tomatoes, spinach, portobello mushrooms & feta, served on a hot skillet w/ Balthazar toast). The ingredients were fresh, flavourful, healthy and delicious. 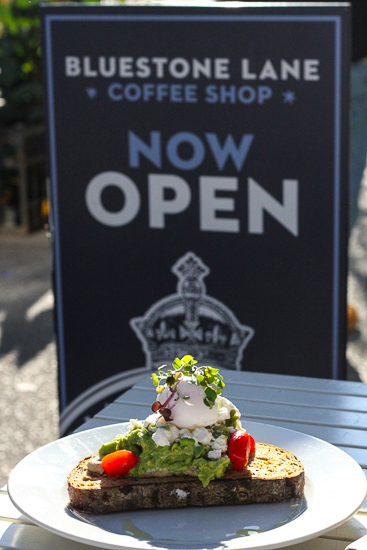 Both dishes and the strong coffee pours transported us back to some of our favourite brunch spots in Sydney. Being able to order breakfast at any time of day is pretty much a dream come true to someone who loves eggs as much as I do. 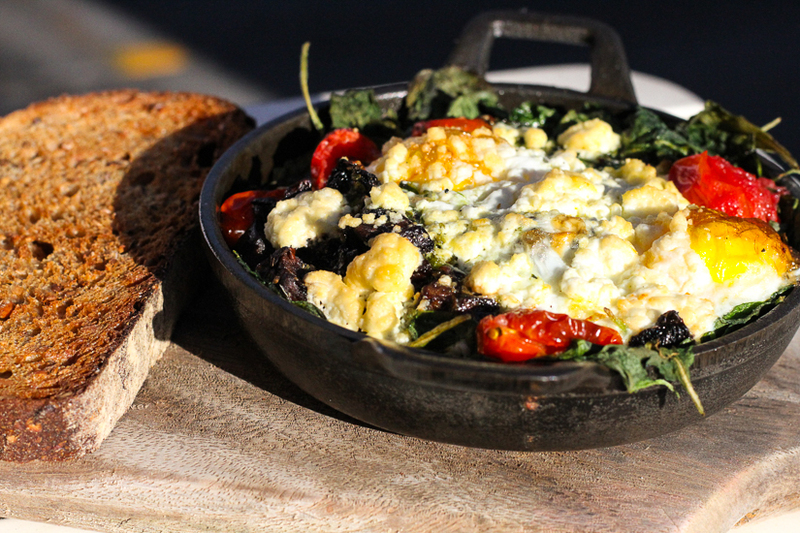 It should come as no surprise then that the eggs served at egg in Brooklyn are golden, fluffy and delicious. Take the healthy route by adding vegetable sides like kale and broiled tomatoes or lash out on American favourites like house made grits and chorizo. We ordered the Grafton Cheddar Omelet with broiled tomatoes and swapped out the hash browns for kale. We enjoyed them instead with some plain poached eggs in our other shared dished. A french press for two tops off a great, fresh brunch spread, worth the wait at the cult Williamsburg spot. 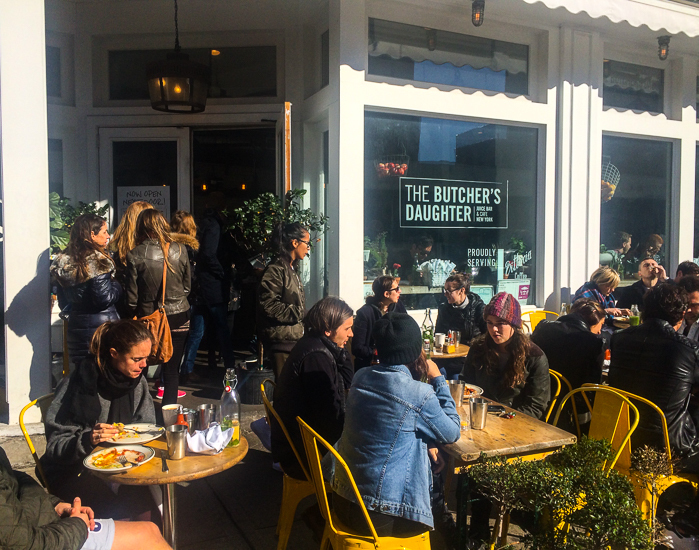 The Butcher’s Daughter shines the spotlight on fruits and vegetables. They source their ingredients from local farmers and producers so the menu changes daily depending on what is in season and readily available. The menu is also 100% vegetarian, dairy free with vegan and gluten free options on offer. 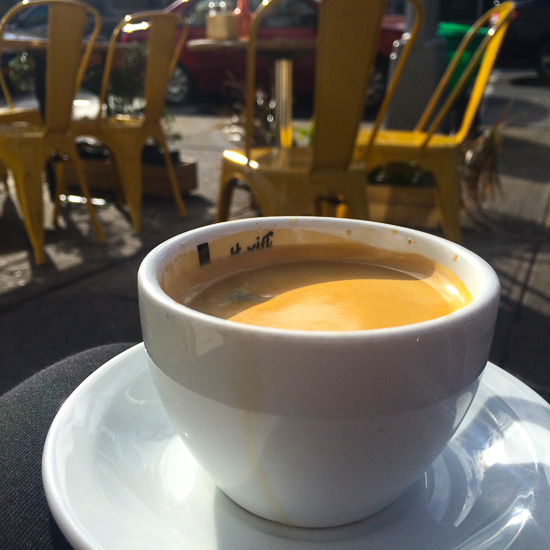 We enjoyed a coffee in the sun while waiting for a friend. Once seated, I ordered the Monterey Eggs; a very simple dish of fried eggs with avocado with ratatouille style vegetables. They have a few locations around the city. Like many places in New York, they won’t seat you until your whole party is present so prepare for a wait outside if someone is running late. We power walked to Five Leaves proud with ourselves for being organised enough to arrive right on opening. Five minutes after eight on a chilly Saturday morning and the place was already full, leaving a cute table near the bar for two. We ordered an Americano while drooling over the menu and other tables’ orders. The fare is fresh comfort food with a bit of a French feel. Five Leaves uses wild, organic, grass fed meats, fish, eggs and produce. We shared the Mushroom Toast (maitake mushroom cream, grilled 7-grain bread w/ sautéed kale & a poached egg). It was rich, creamy and very tasty. The food will leave you licking your lips and planning your menu choice for the next visit. Personally, I’ll be diving head first into the Moroccan Scramble. 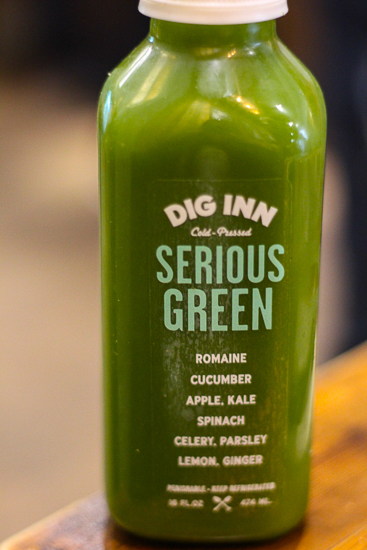 Dig Inn Seasonal Market is the perfect pick for a healthy, affordable lunch on the go. We walked into the Hudson Street location as the lunch time wave was gaining momentum. Farm-to-counter fare awaits behind the glass from warm, slow cooked meats to baked salmon, tasty vegetable sides and colourful salads. 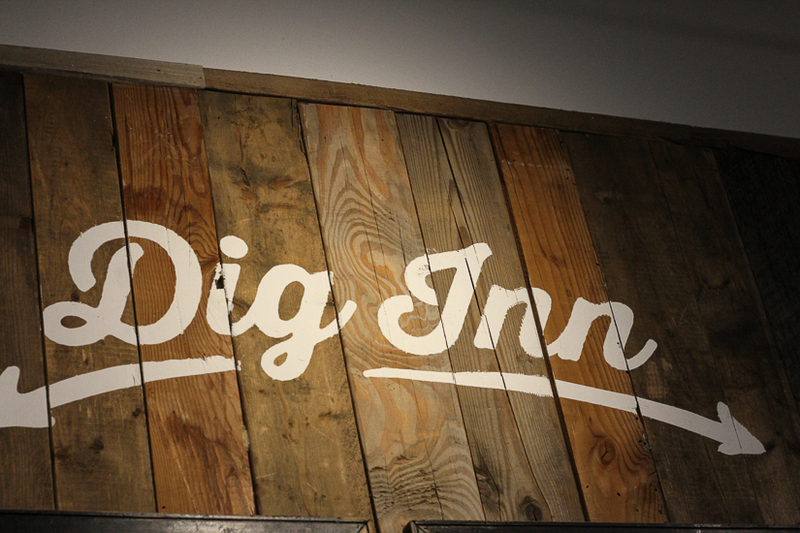 It’s easy to understand why Dig Inn has such a following. Their ethos of “democratising the farm-to-table movement” so it’s accessible to everyone means you can take away a farm fresh, filling lunch for about $US10. We chose a ‘Big Marketplate’ each. One included a combination of Slow cooked beef with roasted sweet potatoes and roasted carrot with kale-pumpkin pesto. The other, wild sockeye salmon with brussels sprouts and kale & curried squash. I couldn’t resist taking a cold pressed Serious Green juice for the road. Grab one of Dig Inn’s newsletters on your way out for a couple of free seasonal recipes to make at home. 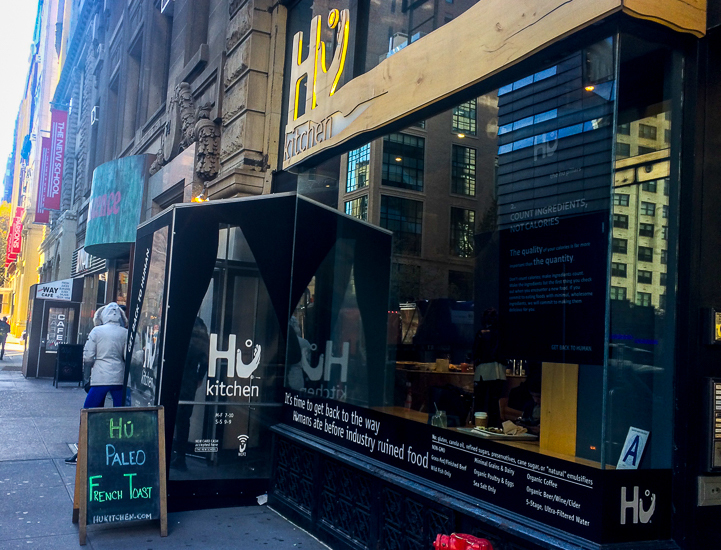 Hu Kitchen is a 5th Avenue foodie heaven hoping to cause a revolution in real food. They offer everything from smoothies and juices to nourishing soul food without the nasties or false promises or fad diets dreams. Walking into the large airy eatery, the place was pumping. We were drawn to the back counter where the Wild Meatloaf was calling our name. Throw is a side of roasted vegetables and we had the perfect Paleo plate. The servings are generous, so sharing is a good option. It also saves a little room for a shop up in the Paleo treat section to snack on later. Don’t leave without a little Hu chocolate (refined sugar, gluten, dairy, emulsifiers, stabilisers, soy or GMO). 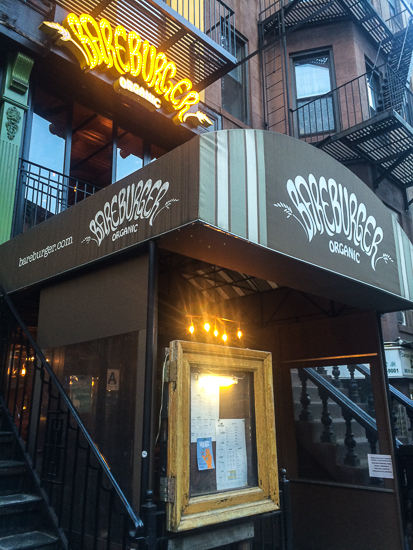 If you must have a burger while visiting the US, Bareburger is the place a go without having a major blowout. They believe in making good, clean burgers from organic, grass fed meats and the best tasting ingredients sourced from artisans close to home. We grabbed an organic wine (local of course) while waiting for a table at the bar. For lunch we tried the Brussel sprouts with manchego and fresh lemon juice, the Blue Elk burger (elk, amish bacon, country bacon, stout onions, tomato fig jam, sprout bun) and the Hog Wild burger (wild boar, pimento cheese, fried egg, chickpea onions, pickled green tomatoes, brioche bun). Paleos can choose collard greens instead of a bread and the Farmstead Burger packs a flavourful punch for vegetarians. Prepare yourself – the burgers are delicious but extremely filling. No doubt also a reflection of the nutrient dense quality of the ingredients they use. If you’ve got a hankering for a post-cross fit protein shake or a enviably green smoothie, you’ll find it almost as easy as spotting a Starbucks to hunt down a local smooth(is) operator in a New York. We walked past Liqueteria in the city and had to pop in for a take away Coffee and Cacao blend to pull us through an afternoon of window shopping. We happened upon Have & Meyer by coincidence. Friends live in the neighbourhood and as most Williamsburg residents tend to be, they were keen to try the trendy new speakeasy. Have & Meyer is a space where you slide into a booth with friends and chat over small plates and a seemingly limitless list of biodynamic blends from Italy. We found ourselves frequenting the wine bar on more than one occasion during our stay, not only for the delicious reds, but also for the warm atmosphere and super friendly staff. Further south, pull up a stool at the gorgeous marble bar at June in Cobble Hill and work your way through their natural wine selection too.